Ever since I wrote the post on art in the age of computational (re)production a few weeks back I have been meaning to follow up on it with a few posts exemplifying what it is that I am actually trying to say there. What my point in all of that ultimately is. 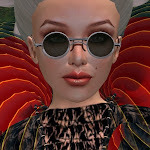 I wrote a while back that it seemed to me that the folk that stayed the course in Second Life® were in fact the very ones that were creatively active: Only so much shopping and disco hopping you can do - and let's face it, when it comes to those kinds of activities Real Life is really far more engaging. 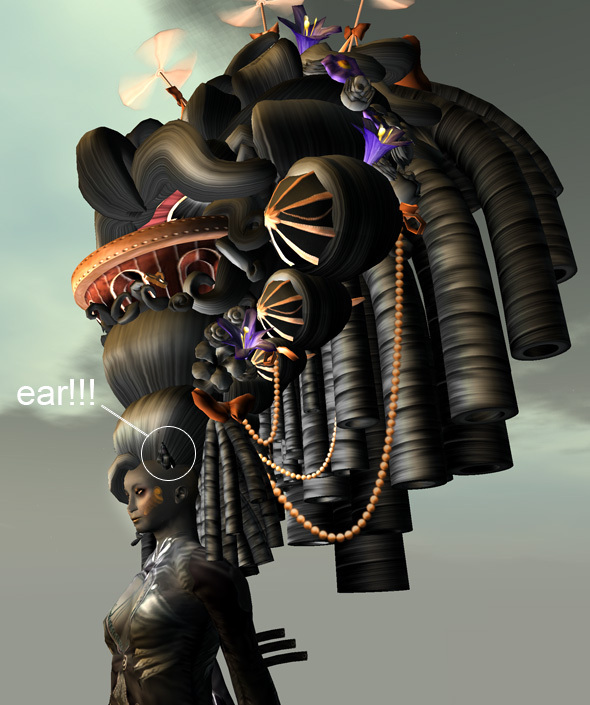 So yes, as far as I can see, the metaverse is teeming with creative activity. We seem to have gone past the early days and entered a new era where more than just a few select individuals are putting out the content. 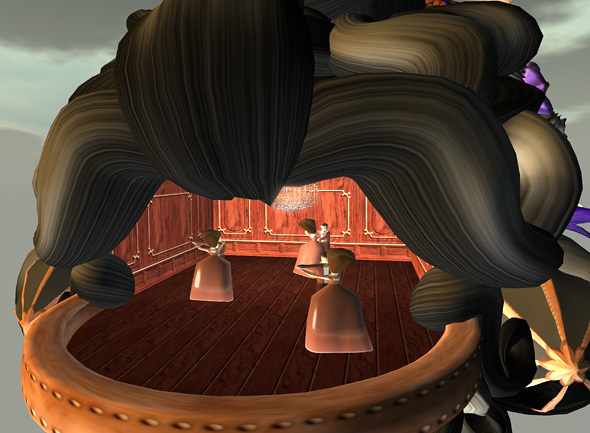 These days Second Life seems to be in the process of transforming into a petri dish of activity where individuals from all walks of life are engaged in creative expression. 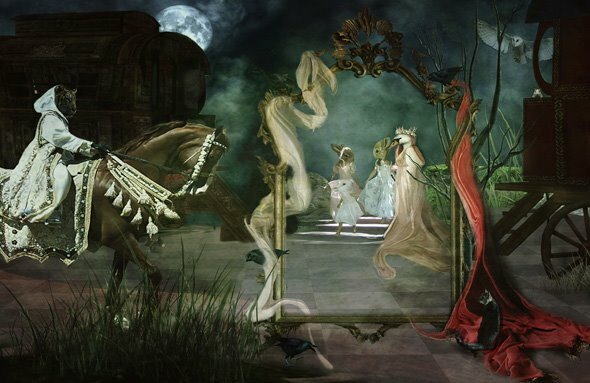 And one remarkable manifestation of this is the output of the Second Life community on Flickr, which is where I encountered Ravenelle and Ducky. So, why Ducky? Why is Ducky so very special? I am not going to spend a lot of time discussing the visual accomplishment of these, I would instead urge you to go and take a look at the collections on Flickr. I will say this however: There is a finesse, a sophistication in Ravenelle's visual approach which reminds me of the Renaissance masters. I will merely give links to who/what these images below remind me of and then proceed on to say how it is that Ducky really grips my heart. 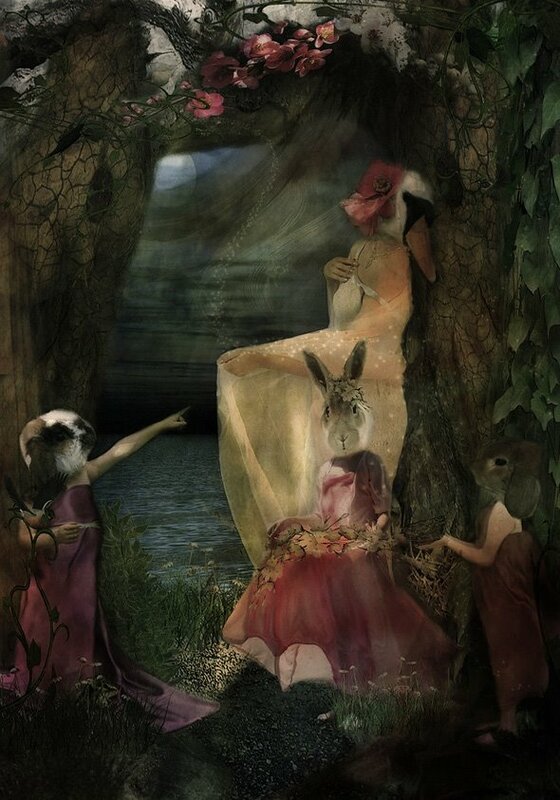 And then of course there are these here, in a world of their own, maybe reminiscent of Max Ernst's Bride, come to life in a new shape and manifestation? 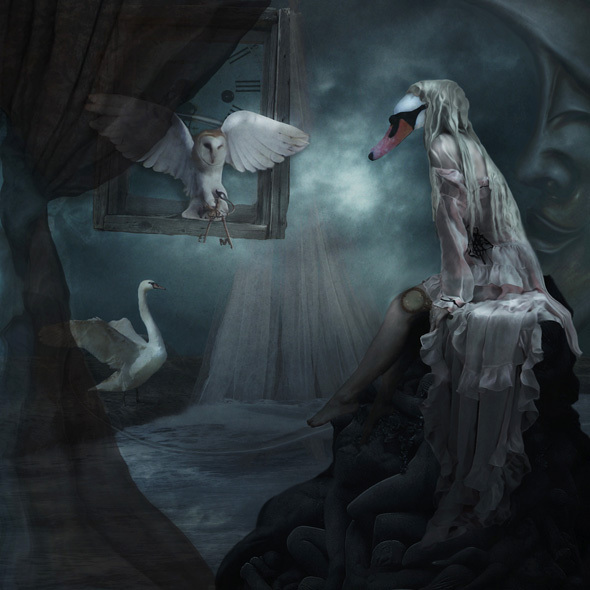 Ravenelle gives us no textual clues outside of the visual material about Ducky. And yet, as I look and watch the videos, a fully formed persona emerges: A creature of ladylike elegance, with dreams and affections. Unspeakably delicate and feminine. Who loves her all too human Torley. With fears that haunt her and then the occasional lighthearted playfulness. Just as it should be, the personality slowly emerges as we watch. We get to know her over a passage of time. She is there, present, alive. Not hanging on a wall. Not on display in a showcase. 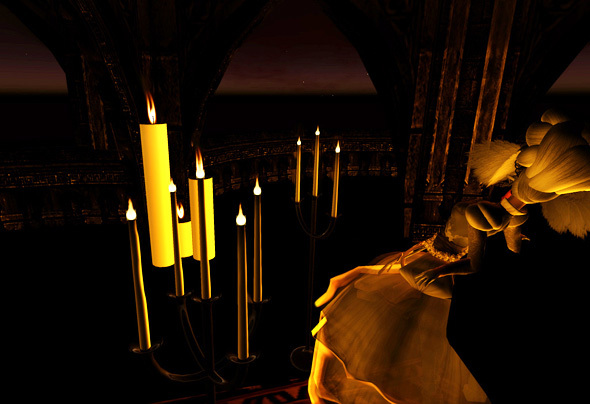 She is wandering Second Life, she is wandering in the crevices of Ravenelle's mind and now she is also wandering in mine. Is Ducky Ravenelle? Well, maybe. Only Ravenelle can say. She has emanated from Ravenelle for sure. Again, you can get to know Ravenelle's Ducky here. Tomorrow, January 10th at 11:00am SLT, and awaiting on the other side of your teleport (directly from here) will be Bryn Oh. For an hour, this talented content creator will give an intimate and informative tour of one of the most photogenic sims on the grid: Immersiva. 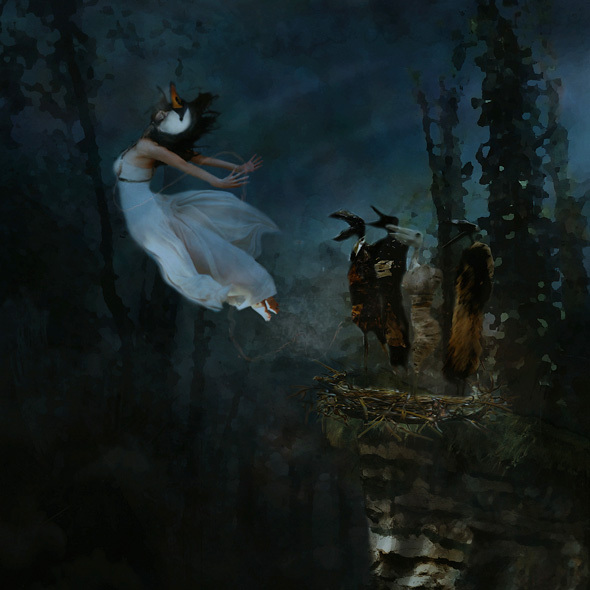 I've had the experience, and I guarantee that you will never look at Bryn's work the same. A few weeks ago, Dusan Writer - the coolest businessman in SL, and yes! 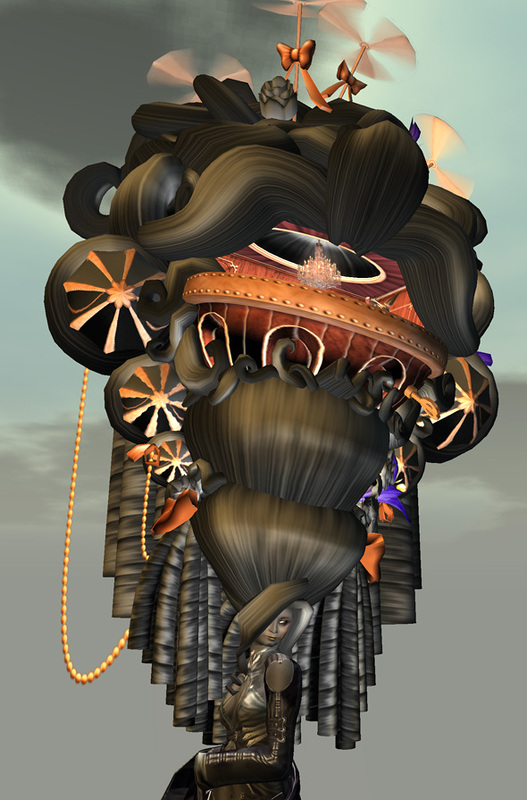 He is the same man who acquired and created a home for Eshi Otawara's Flower Tower - underscored his role as an arts benefactor by giving Bryn Oh her very own sim to do with it what she wished. Imagine Bryn with the abilty to create her own ground textures... her very own world. Go to World at top left of your screen. In the drop down menu at the bottom pick environment settings and then environment editor. Click on Advanced Sky. Then click the button "new". Now give this preset a name, such as "Immersiva" and save it. Voila! You are ready. Immersiva has its own page on Koinup, which you will find here. Once a month, NPIRL and Koinup - an inclusive social networking site for all Virtual Worlds that permits storage and sharing of imagery: photography, Machinima, and "storyboards" - are offering the NPIRL Safaris - with many of Second Life's best content creators, exposing the participants to new sims, new content, and new ideas that are leaving the old world behind and breaching the future. Lately I have been giving a lot of thought to the concept of Not Possible in Real Life in terms of creative activity. So, I have come to the conclusion that sharing what my sense of what is NPIRL may well be in order at this point in time. 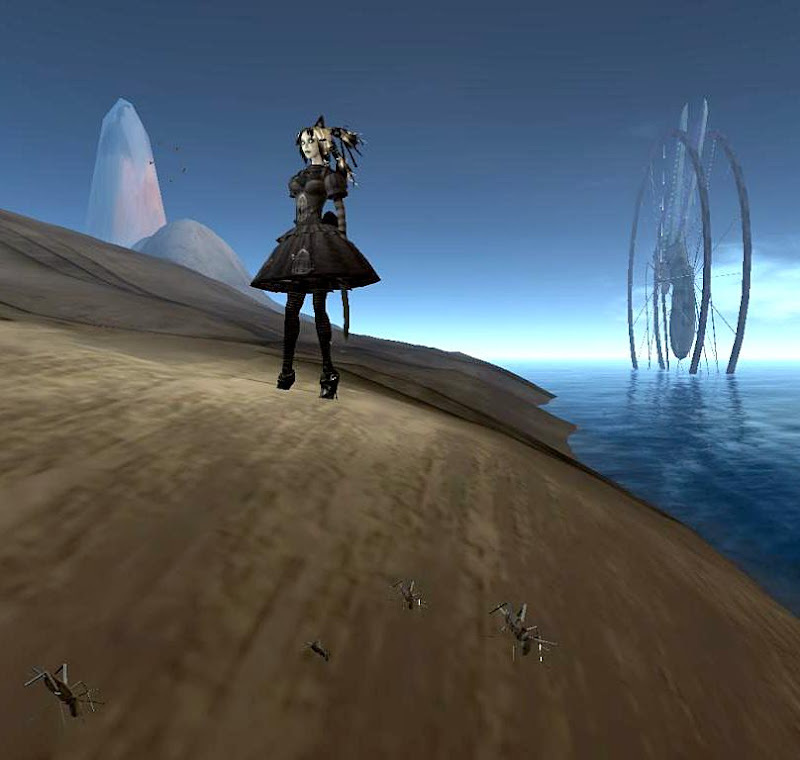 You may remember a certain backpack which enables an avatar to "wear" a landscape on his/her back, which I posted about a few weeks ago on this blog. Even as I was writing the post I could not help but be reminded of my PhD colleague as well as good friend Laura Beloff's wearable art in Real Life. And specifically one item which Laura has created, which is a breeder of fruit flies to be carried as a backpack. 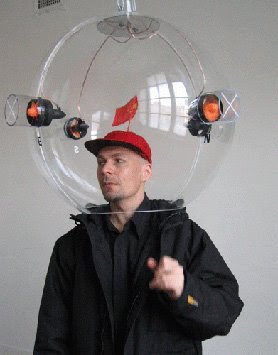 (Other wonders of Laura's include a a wearable head that a second party can communicate with via mobile technologies, a wearable weather observatory and networked boots which capture the conversations in online chat rooms and transmit them via audio playback into the physical realm). The output of the hybrid field of art and computation is vast indeed and unless one turns it into a fulltime occupation it would be quite impossible to know all that comes about. Thus, I shall continue to stick to the work of my close associates and colleagues for further examples. My much beloved friend, colleague and indeed adopted “brother” Yacov Sharir has been dancing on a Real Life stage with virtual dancers whom he has created in 3D Studio Max since the late 1990's. 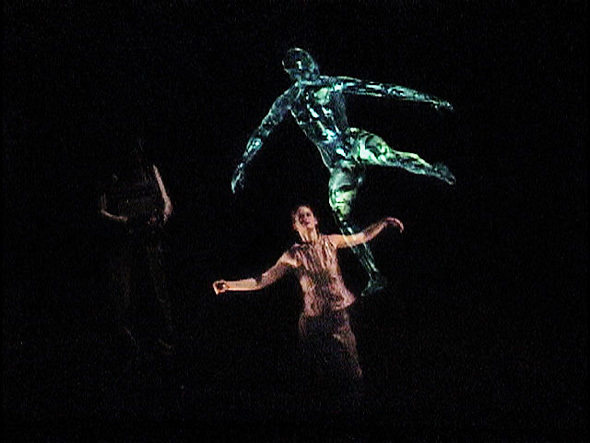 The touchingly beautiful pas de deux of the real and the virtual dancer are accomplished through a sensor wired glove through which Yacov directs the movement of his virtual partner(s). My colleague Selçuk Artut, right here in Istanbul, is conducting research on the creation of a sophisticated interface that will bring about musical instruments with which musicians will be able to compose/perform music from the feedback of biological organisms. And not little old beeps and bleeps but scored music! Which in its turn reminds me of my PhD colleague Nicolas Reeves' work which focuses on the creation of music not only from architectural constructs but also from clouds: "La Harpe à Nuages (1997-2000) is also known as the Keplerian Harp after German astronomer Johannes Kepler (1571-1630), who first came up with the term "music of the spheres". Reeves describes the harp as a "meteo-electronic installation." It is a physical sculpture containing a technological system that, thanks to a series of infrared lasers, reads the structure of clouds and then transforms this reading into music. The melodies vary depending on factors such as altitude, cloud density and meteorological conditions". This list could be extended by quite a bit even if it were to be restricted to just my own circle of friends. However, I will need to stop at some point and this will be my colleague Diane Gromala's Meatbook. 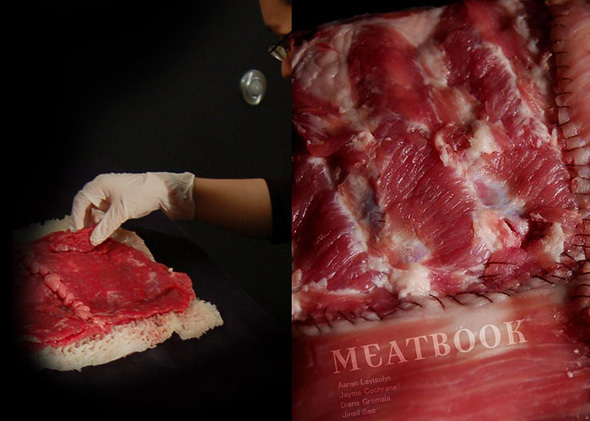 To quote, “the Meatbook is a project that provokes users’ senses of their visceral responses. A time-based (that is, decaying) slab of meat, constructed as a book, is embedded with various sensors that cause the meat to react and quiver as the viewer approaches it. 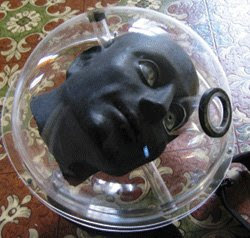 The reanimated flesh also responds with other movements and sound when users touch it”. From the above examples it is quite obvious that the human creative spirit is alive and well in the year of 2009. And yet to me something quite fundamental is not right. And it isn't just me who thinks so either: I have shared countless conversations with colleagues (including the ones whose output is shown above) on this matter, and we are all more or less in agreement that a very vital component of artistic practice is no longer present with us today. Or at least not immediately and obviously so. Does artistic output still serve the intrinsic purposes of humanity? Or has art simply lost its cause? 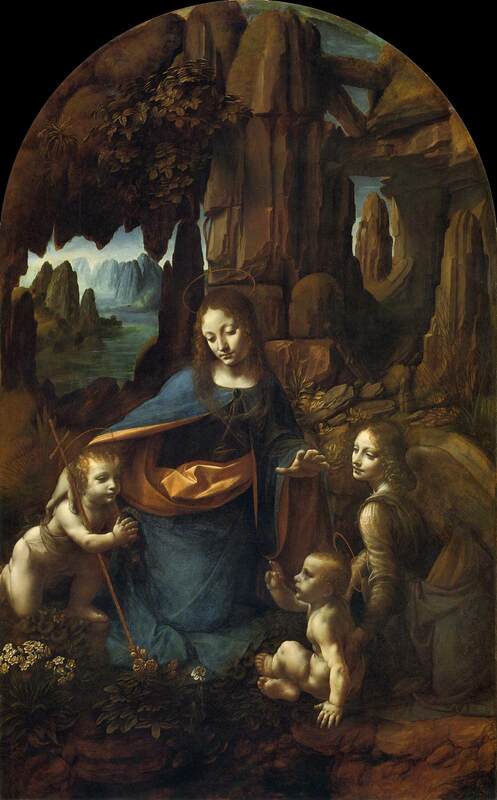 For millenia art provided the visual narration of religious concepts. From Lascaux to Karnak to the Sistine Chapel generations of artists dedicated their creative abilities not to the pursuit of personal agendas but to serving one of the most fundamental purposes of humankind: Belief. And notwithstanding that some amongst them (as would be the case with Caravaggio) were eccentric individuals living from time to time on the edges of society, for the the large part artists were fully integrated members of the milieu in which they operated; responsible businessmen with professional commitments, outstanding (pre-paid!) orders and accounts to balance, supervising hordes of apprentices in well organized and efficient workshops. A far cry indeed from the type of individual we seem to have inevitably become today in the face of personally instigated demand and supply. With the advent of the Bourgeoisie in Europe after the 16th century yet another demand was charged upon artists: The newly individuated and wealthy Citizen no longer settled for just the glorification of religion, but sought personal glorification as well. The outcome was the genre of portrait painting, as well as interiors, landscapes and still lives, with which the European Burger adorned his estate. However, whether Sistine Chapel roof or Rembrandt portrait, one essential premise remained unchanged in that artwork was something present in living spaces, indeed to be lived with, to be experienced on a basis of daily familiarity - something to be "used" and not merely to be "viewed" in spaces designated for that activity alone. And then, needless to say, with the 19th century there came photography, followed shortly thereafter by the moving picture. 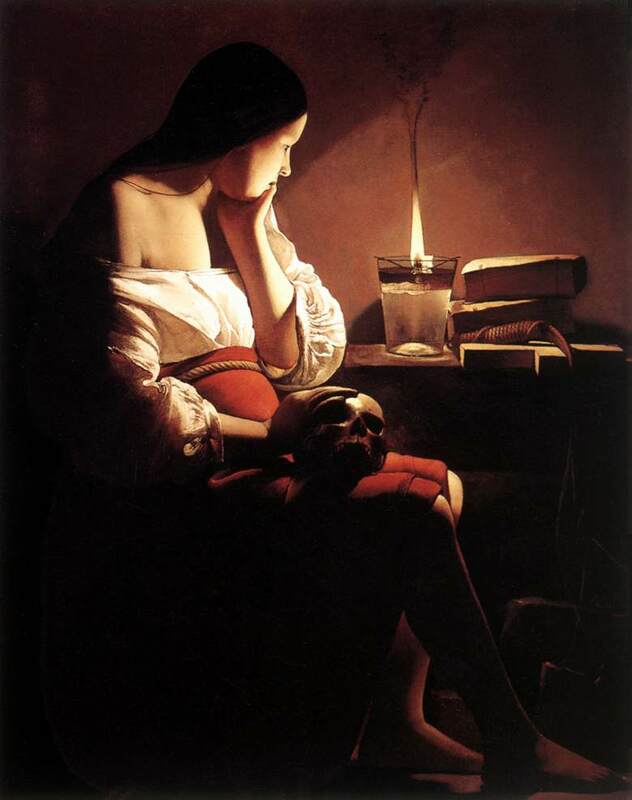 Compounding these advances in technology was also the rise of empirical inquiry and religious skepticism, both results of the Age of the Enlightenment, weakening the social power of the church, amongst else also as patron of the arts. And so, the whole "business of art", as it had been practiced for thousands of years found itself in a precarious position of re-evaluation. Of a need for creating personal agendas and purposes that would continue to provide an outlet for that intrinsically human attribute we call creativity. Up until the early decades of the 20th century the research of the visual elements of art themselves - of light, of space and of object culminating in pure abstraction, served the bill. Indeed, for me, this brief period of the "avantgarde" in modernist art constitutes one of the most notable apexes of mankind's artistic endeavor. Then came a brief dabble in an investigation of the human subconscious during the middle of the 20th century - but ultimately it was all self propelled, self instigated and could sustain its own momentum for only so long. And it seems to me that the present day phenomenon of conceptual and indeed post-conceptual art is not faring much better. I know this is presumptuous of me, and who am I to even pontificate upon any of this - however, it is my considered opinion that unless we provide an intrinsic purpose for it, and one which transcends that famed holy cow of "creative self expression" at that, our artistic goose is pretty much cooked! Overcooked, if anything, should you ask me... ;-). The concept of NPIRL which Bettina Tizzy has thrown on the virtual table is no less than visionary in its manifold implications. One of Laura's biggest gripes is that the wearables which she creates do not really get used as such, inevitably ending up as exhibits in museums or sophisticated art venues such as Ars Electronica. Occasionally a person may put them on and wander about a bit, but by and large they are not part and parcel of everyday life in Real Life. They do not get worn long enough to evoke "behavioral change" in the wearer. Laura wants people to play with her output and to change whilst doing so. They do not. They watch, they wonder, they admire and they talk about it. Oh yes! Do they talk! And maybe they try it out - just maybe, not always... But in Real Life that is far as it seems to go. And here, suddenly, in the metaverse we have this truly amazing and seemingly not all that possible in (grown-up) Real Life occurrence: Playful activity and the changes it can engender are subject to a huge area of discourse in the Social Sciences, exemplified by the writings of Huizinga and Brian Sutton-Smith. Sutton Smith alerts us that in Real Life “frivolous playfulness” is a distinctly rare attribute once childhood has been outgrown – and this despite the fact that according to Sutton-Smith it is a crucial one for the sustenance of the species. However, unlike Real Life “play” in the metaverse is very much alive, becoming manifest in what we wear and what we “use” and how we interact with ourselves and others whilst kitted out in all of our splendid NPIRLness. And doesn't what we discover about ourselves during this seemingly frivolously playful activity acquire huge significance when viewed from the point of view of Homo Ludens? “… the fact that I can give people the means to express a part of their personality with my avatars. That, for me, is a wonderful aspect of working in SL. As fleeting and transient as our work is in this medium, for a while, people relate much, much stronger to it than to, for example, an expertly painted picture. Typically, people look at a picture for merely seconds, of maybe minutes if it speaks to them on some level. 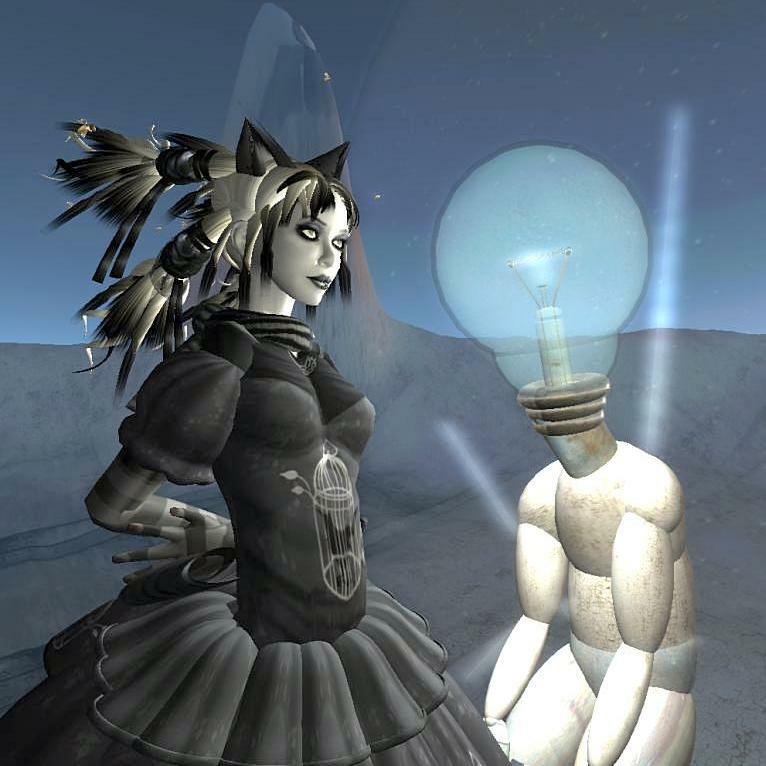 Somebody who wears my avatars or has his or her virtual home in one of my caves, might spend months in a close relationship to my work. 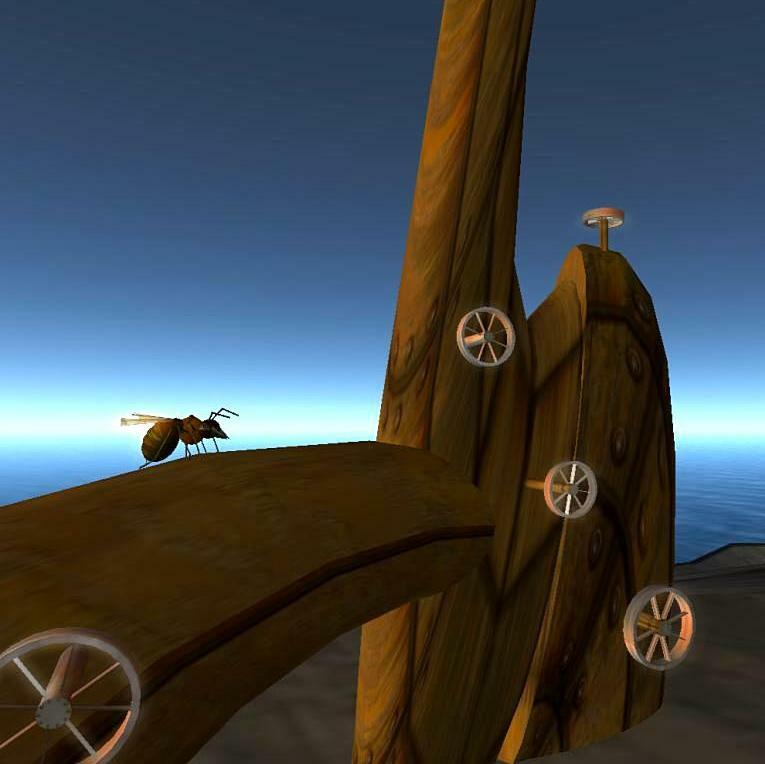 That is one of the things that I absolutely like about making content for a virtual world”. Personally, I have created Syncretia entirely by the credo of "livability" as opposed to "viewability" and my future efforts in metaverse creativity will follow along these lines as well, since to me this seems to be a thoroughly viable means of providing context to artistic endeavor today: The provision of usable objects and spaces serving the ritual of behavioral change and consequent self discovery through play. The past few months for me have been a period over which a creative block has cast a huge shadow. I am happy to be able to say that the dry spell seems to finally be over. Compounding this is the fact that my sabbatical semester leave is drawing to a close and once again the duties of a full time Real Life beckon. The blogging activity here on the NPIRL blog during this entire period has been nothing less than a God send. Amongst much else, this has also provided me with a wonderful opportunity to take out the time and become fully engrossed in the detailed examination of the creative output of others for a change - an experience which I have vastly benefited from and hope to put to good use in my own future design work. So, I will most certainly continue to post – however far less frequently than before. 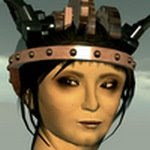 I still have one June Dion post, this one on her scary avatars (and boy, are they ever!) which I will be posting soon-ish (I hope), but beyond that you will be hearing from me only occasionally, since my own creative output should be keeping me quite busy for the foreseeable future at least. This morning I received a very welcome New Year's greeting and gift from one of my favorite bands of all time and in any life: Chouchou. This short but lovely video just reminds me all over again why I am crazy wild about the work of juliet Heberle and arabesque Choche, the Japanese duo. The video came with the message, "we hope our music will always reverberate in your heart." Rest assured, juliet and arabesque, it does!